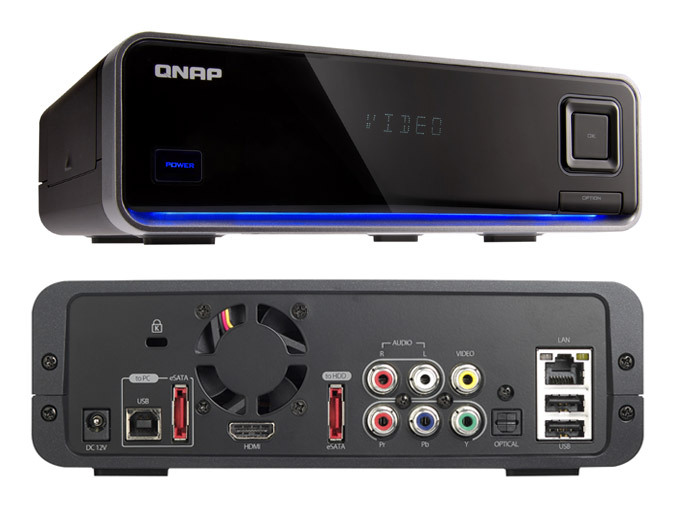 QNAP Systems announced its new network multimedia player, which features the latest Sigma Designs video/audio decoder and offers full HD movies with advanced menu navigation, crystal clear next-generation Dolby and DTS multi-channel surround sound. The NMP-1000P is equipped with the newest generation hardware-based decoder from Sigma Designs, Inc., SMP8643 SoC, a 667MHz CPU with floating point processor, has a 512MB DDR2 memory, a 3.5″ SATA I/II HDD bay, upgradable up to 2TB and a large selection of interfaces including Ethernet, two eSATA ports, HDMI v1.3a, component (Y, Pb, Pr), composite video, analog stereo out, and S/PDIF optical jack, all within a sleek compact set-top box with a remote control and friendly user interface for easy navigation. The player also feature built-in Wolfson WM8524 high performance digital to analog converter, which delivers 106 dB SNR, with excellent mute and crosstalk performance and supports 24-bit conversion of all audio sampling rates between 8-192 kHz. The NMP-1000P is capable to play most popular video formats, including MKV (H.264), M2TS, BDMV, ISO and AVI with the most popular codecs, as well a wide range of popular subtitle formats with configurable font properties. 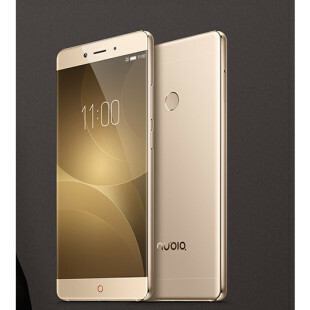 It has an Internet services capability and allows to input your favorite Internet radio channels and play them on your Hi-Fi system at home. NMP-1000P also retains Turbo NAS functionality for backup of all networked computers, convenient cross-platform file sharing among Windows, Mac, and Linux/UNIX.